He enlightened the young participants about how as young people they have varying talents and abilities and as such made them very powerful. He also briefly spoke to them about Ghana’s history and founding fathers and the importance of patriotism for national development. He further explained to the youth, the objectives of the sessions they were about to engage in and how they can clean-up them. The first session was led by Zainabu Mamley Adams, the founder of our University of Ghana campus chapter. She discussed with the participants the importance of personal development as young people. She spoke to them about constantly trying to grow in every aspect of your life. 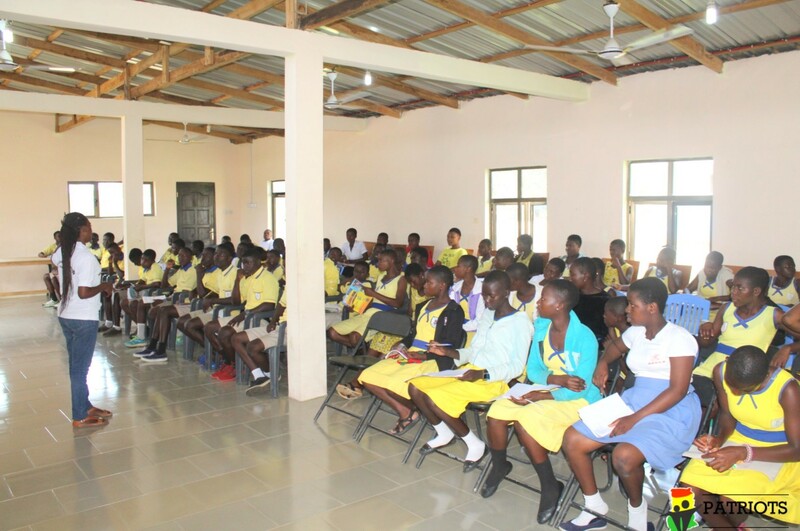 She further enlightened them about building their self-esteem and confidence as it would be vital playing a leadership role in Ghana’s development. She said branding yourself affects how people address or treat you. The students then discussed improving their identity, potential, and talents for enhancing their employability and standard of living. The final part of her session focused on helping the young people develop personal strategies that they can use , . The next session was facilitated by Mr. Bright Fiatsi, an accountant and the co-founder of the Cheerful Hearts Foundation. His session was identifying your competencies for community development. He began his session by helping the participants to understand what was meant by competences and community development. He explained different abilities learned from experiences in school, at home or our communities’ exceptionally guided or equipped young people to do things well. He stressed the importance of a unified body of community members bringing together their varying competencies to develop their community. 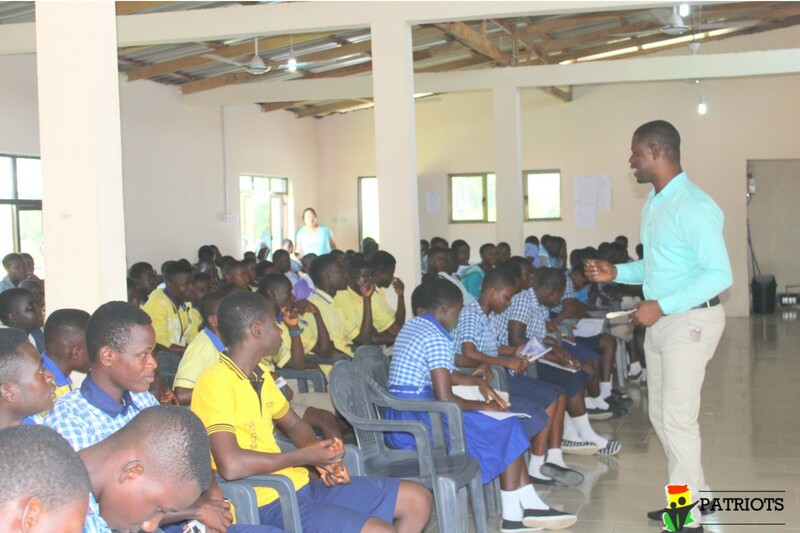 He emphasized various ways young people can start various initiative starting from their homes and neighborhoods geared towards community development. He discussed with them the importance of not waiting for the government to take action on issues that affect them but have a mindset of love for their community and as such take the right steps to contribute to its development. 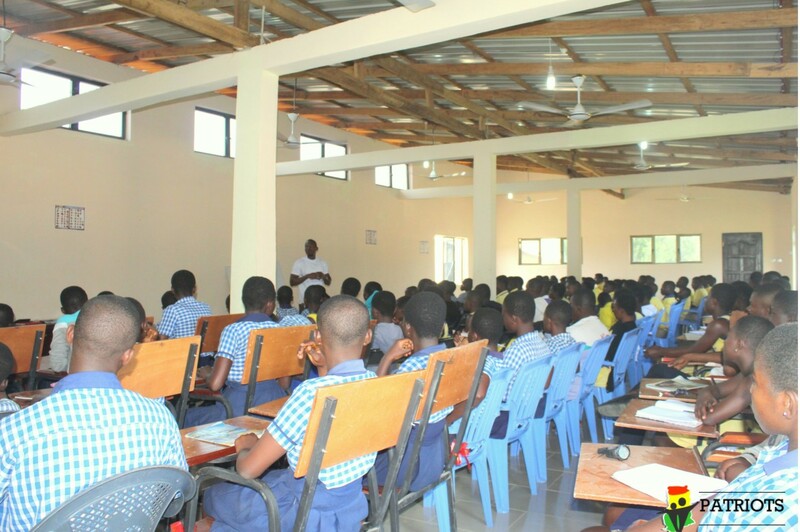 He told them to always stand for what is right and get together with other like-minded young people to help develop Ghana starting from where they are and doing anything regardless of how small it may seem. What is less desirable about the current Ghana? What do you want the future of Ghana to be like? 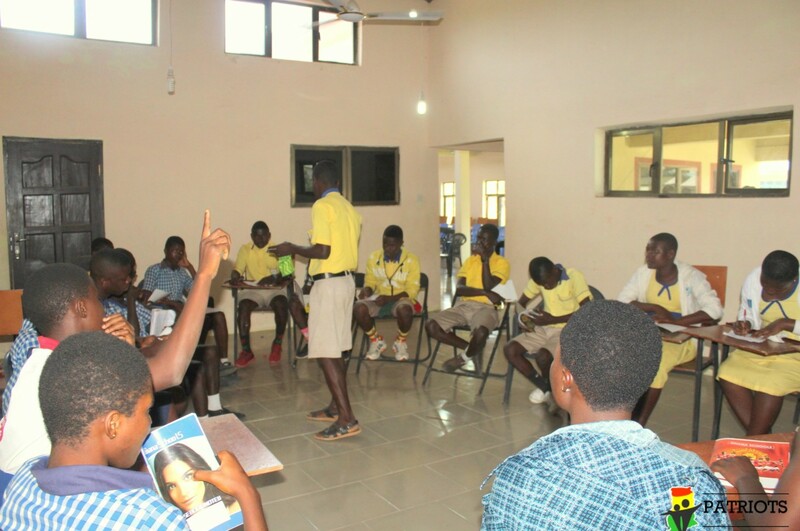 What can you do as a young person to help develop Ghana? Duties of a patriotic leader. Mr. Freeman afterward led the students to gain an in-depth understanding of the various topics discussed. 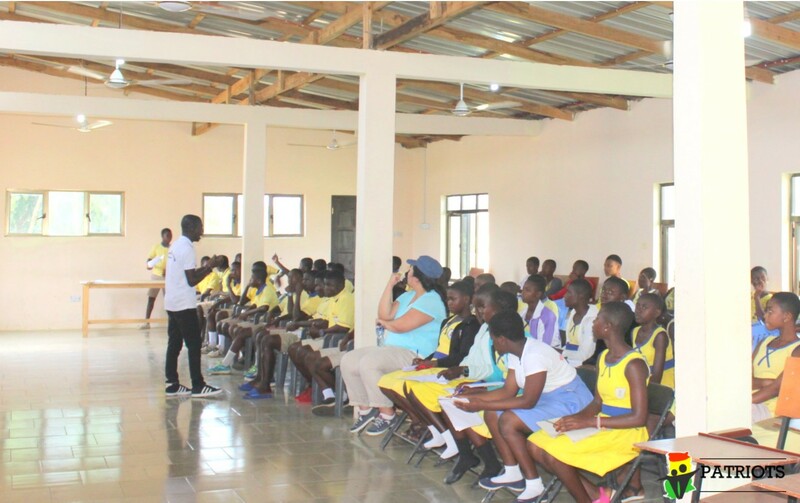 After the event, the students were given snacks and spent some time engaging with the facilitators and the patriots Ghana team. The seminar is one many strategic initiatives of Patriots Ghana under the Youth Empowerment Project of the organization. 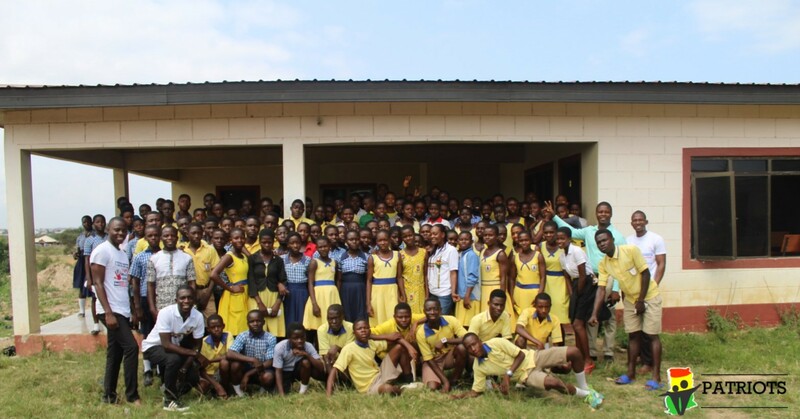 In the past, Patriots Ghana through its campus chapters and national body has organized various event on National Volunteers Day. Volunteers have embarked on clean up exercises, donations to orphanages and clinics, reading clinics, educational talks and outreaches, etc. Patriots Ghana as a registered non-profit non-governmental organization is committed to the mission of uniting all passionate and patriotic Ghanaian citizens and organizations, and empowering them to undertake meaningful projects in areas of: Health, Education, Human Rights, Research and Advocacy and Economic development, in order to improve the lives of the less privileged Ghanaian citizens and deprived communities.